Who doesn't love a highlighter? 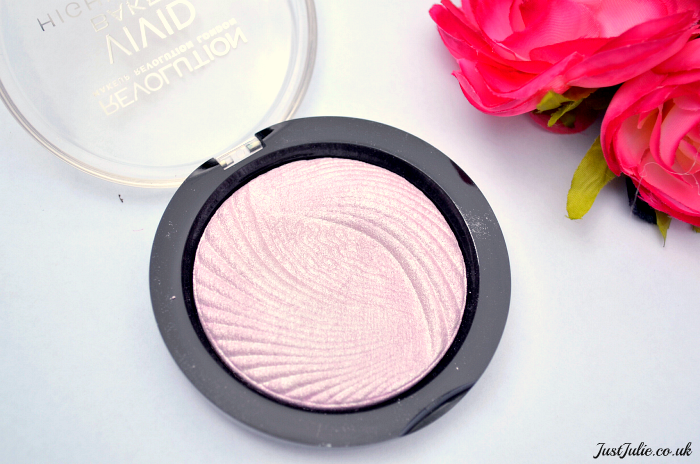 Makeup Revolution Highlighter in Pink Lights is absolutely beautiful, from the design to the finish you get with this. The pattern reminds me of a sea shell and also very much similar to MAC Extra Dimension skin finishes. I will be honest, when I first swatched this I hated how it felt, it felt quite rough on my finger tips, which I hadn't expected, but once I swatched this on my hand, it felt really smooth. I can honestly say, after using this several times the roughness has gone. This is so pigmented, you honestly only need a small amount. I dust this lightly on top of my cheek bones and it does a wonderful job at making my cheek bones (that are pretty much non existent) pop out. I tend to prefer to use a highlighter that is a little bit warmer in tone, so this is something I wouldn't use on a daily basis. 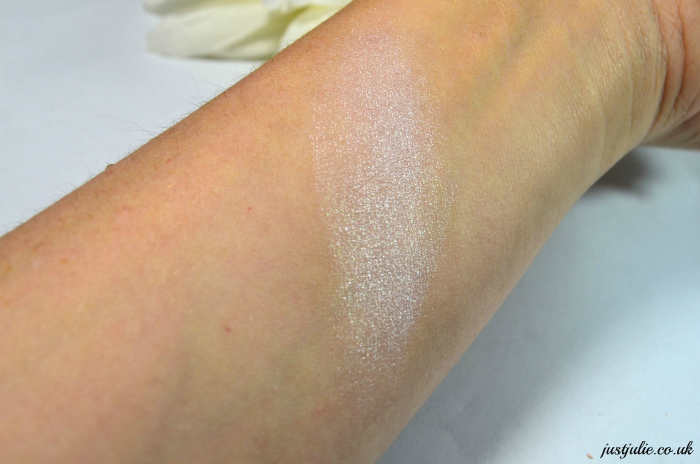 I have been eyeing up the Makeup Revolution Highlighter in Peach Lights which I believe has been the most popular out of the three shades of the highlighters and plan on placing an order very soon. Like all of Makeup Revolution makeup, this is a total steal at just £3, so if you're in the market for a cool toned highlighter than this will be your new best friend, but if like me, you prefer something a little warmer, then be sure to check out their other shades. 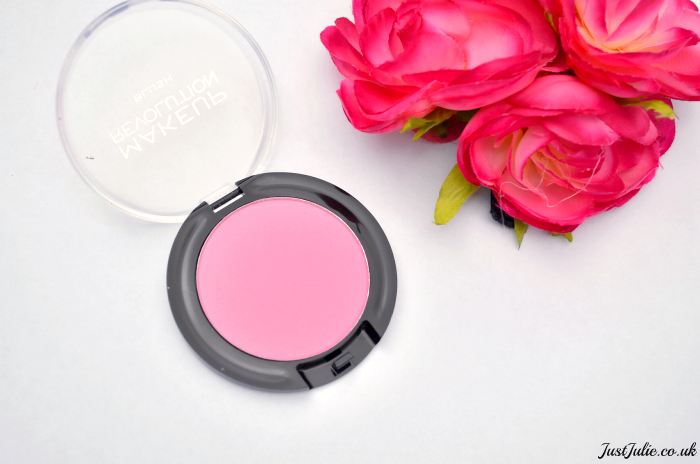 I already own three Makeup Revolution Blushers so when I received the Powder Blush in Wow I was more than happy as I already knew how amazing these blushers were. 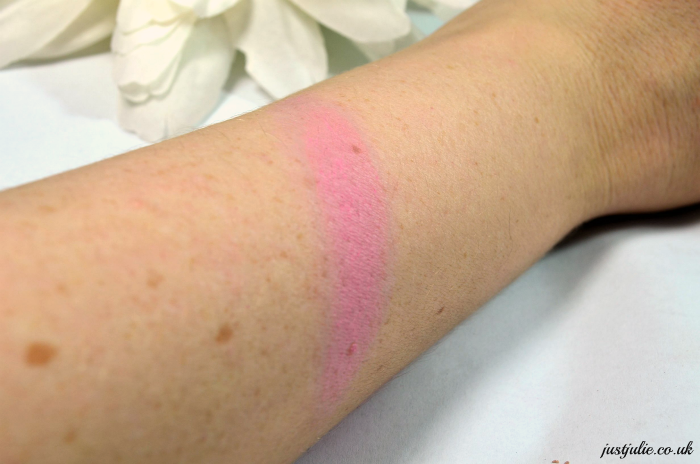 Wow is a super pigmented blue under-toned hot pink blusher, one that you need to go light handed with. My mistake, and I should have known this, was to go in with my blusher brush, swirl it around the pan and then pop it on my cheeks.... well I ended up looking like one of those dolls with bright pink cheeks! Ok if you're after that kind of look, but at my age, yeah that wasn't what I was trying to achieve! So what I recommend you do is lightly dab your brush in to the pan, and with a LIGHT hand, lightly dust this on to your cheeks! This is a matte shade, I tend to opt for blushers that have a slight shimmer to them as I feel they give me a more healthier glow, but this is still a blusher that I have been reaching for, especially on days where I want that English Rose look! The staying power with the Powder Blush is amazing, it really doesn't wear off, even after 12 hours, and for a blusher that costs just £1, that's pretty amazing! 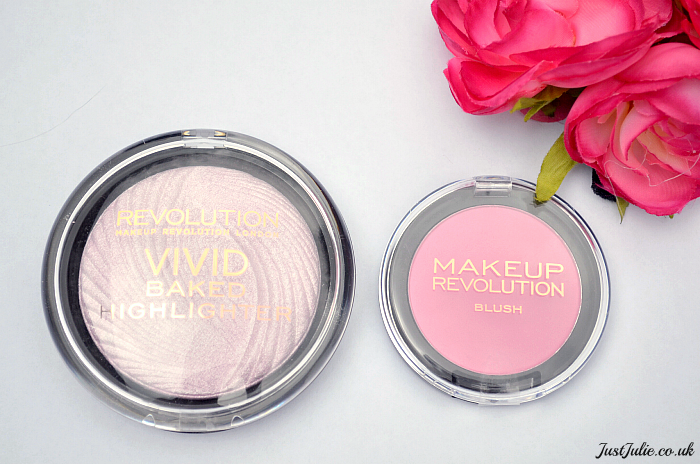 The reason I teamed the Makeup Revolution Highlighter in Pink Lights and Makeup Revolution Powder Blush in Wow together is because I think they both compliment each other, due to their cool toned colouring, both will bring the best out of each other, so if you're looking for a cool toned blusher and highlighter then these are the two you need in your life. Have you tried anything from Makeup Revolution yet? If so what has been your favourite product so far?